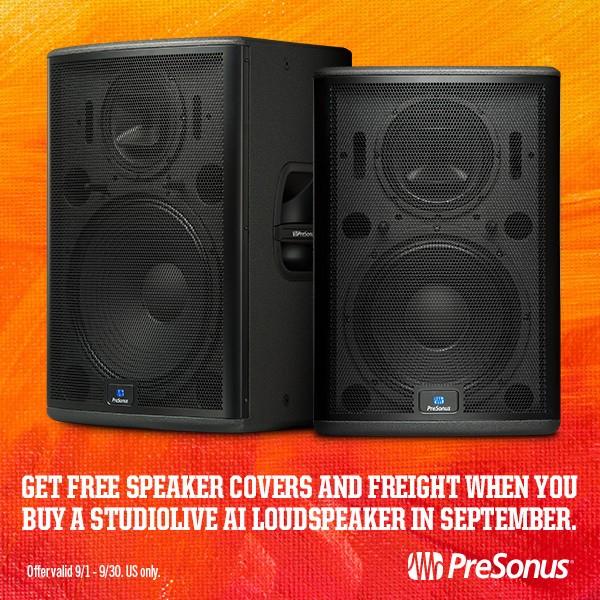 September 2016 only: Buy a StudioLive AI Loudspeaker from shop.presonus.com, and we’ll cover the freight! Not only that, but we’ll also cover the cover. 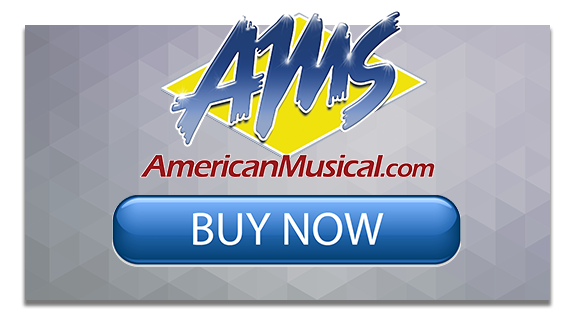 Get a StudioLive AI Loudspeaker of your choice delivered right to your door or place of business, including a form-fitting, fashionable dust cover that will keep them looking their best while locking in that new-speaker smell for some time. Not sure why you should get a StudioLive AI over any other black box? Control and versatility, for starters. You can remotely EQ them to the venue via SL Room Control on your iPad. They’re equipped for wireless and wired communications over an Ethernet or Wi-Fi for control and tuning. You can also add the SL-Dante-SPK option card to create a Dante network and ditch your clunky, heavy analog snake in favor of lightweight CAT5e or CAT6 cables. Oh, and they’re loud. Imagine studio monitor quality (thanks in part to the coax drivers) at extraordinarily high volume. Compact and lightweight, PreSonus AIR active loudspeakers provide a rich, extended low-end and natural high-frequency extension in an enclosure that will easily fit in the back seat of a small car. Backed by 1,200W of Class D/Class AB power and enhanced with easy-to-use digital tuning functions, AIR full-range systems give you all the power and tools you need for both mobile and installed sound. The series includes AIR10, AIR12, and AIR15 full-range systems and AIR15s and AIR18s subwoofers. Here’s a look at the new AIR speakers from InfoComm! For those of you in the USA wondering what Musikmesse is, think NAMM—but in Germany. 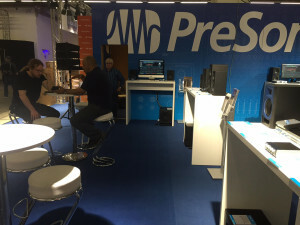 “Musikmesse in Frankfurt is the international trade fair for instruments, sheet music, production, and marketing.” It all starts this Thursday, April 7 and runs to Sunday, April 10. The PreSonus team will be there. 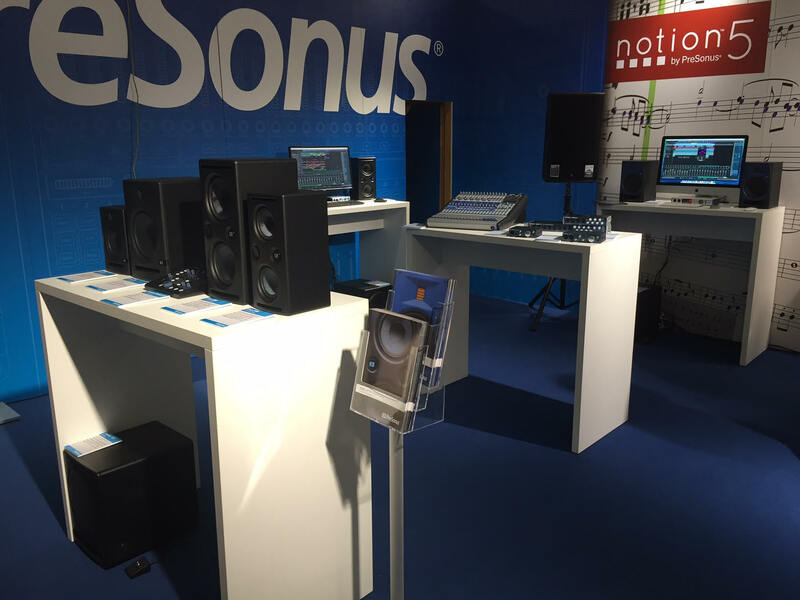 Visit our booth and be one of the first in Europe to see the new Studio 192 Mobile and ULT Speakers in person! 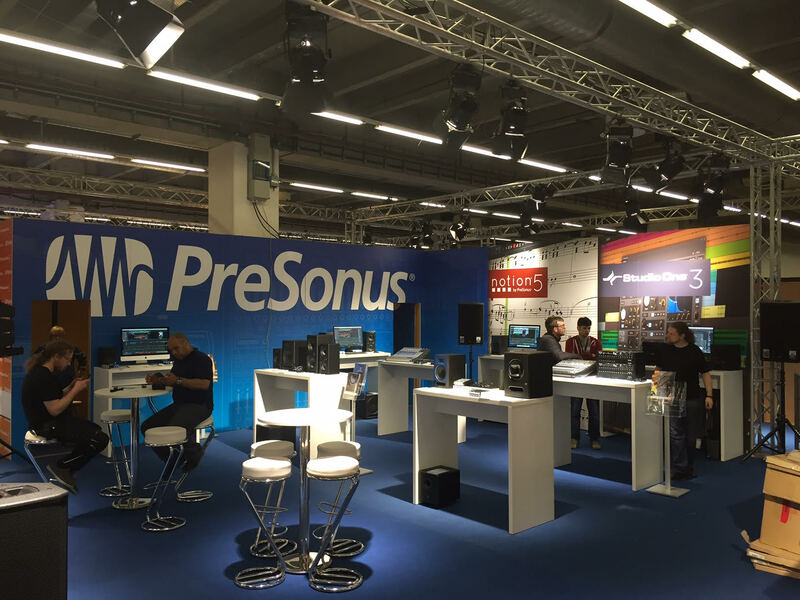 Find the PreSonus booth located at Hall 9.1 Booth F41. Post the photo to their social profiles and include the hashtag #StudioOneMesse. We will randomly select winners and will contact them directly. Follow #StudioOneMesse to see what PreSonus users are up to at the show and to congratulate the winners! Setting up a new PA system in your venue? Get ahead of the curve by going Dante. With the SL-Dante-SPK option card, you can eliminate audio cabling and transfer uncompressed, low-latency digital audio and control data to and from StudioLive AI loudspeakers over relatively long distances and to multiple locations, using a standard Ethernet network. You’ll also be able to connect your loudspeakers to StudioLive AI console mixers and RM Rackmount mixers via Dante for unparalleled control and flexibility—and as your needs grow in the future, Dante will be ready for you. Until June 30, 2016, you’ll get four (4!) SL-Dante-SPK option cards when you buy four StudioLive AI loudspeakers, including the 18sAI, 312AI, 328AI, and/or 315AI. That’s eight hundred dollars worth of option cards. Do you already have a network in your venue? Does the idea of using lightweight CAT5 cable to connect your PA appeal to you? Do you hear where I’m going with this? Click here to get the required rebate form. Click here to visit our Dante Resource page. Click here for a free .PDF guide on Dante networking and see if it’s right for you. ULT Loudspeakers Available in Select Stores in the USA Now! The brand-new ULT Loudspeakers are currently on the shelves of select dealers in the USA! 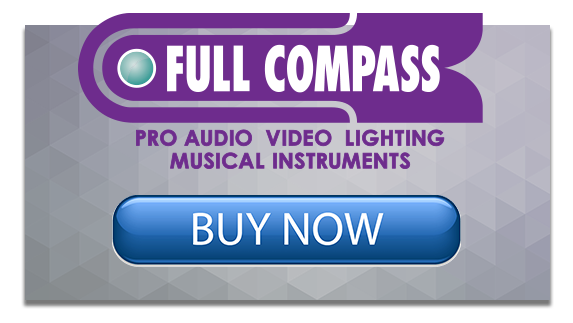 American Musical Supply, Full Compass, ZZounds, and Sweetwater have received portions of the initial shipment. If you want to be among the first to own a set of ULTs, click the links below to get a hold of them! ULT means Ultra-Long Throw—these loudspeakers boast a tremendously focused vertical dispertion that projects your sound to the back of the hall for maximum intelligibility throughout. Designed with our partners from WorxAudio, the ULTs feature the Pivot X110 horn, a rotatable driver that allows you to get the best out of the ULTs in both horizontal and vertical configurations. The ULTs strike a balance that champions versatility; they’re sturdy but not unreasonably heavy, so they’re ideal for either permenent installations or mobile rigs. Generous I/O and convenient DSP presets round out the offering. Interested? Contact a dealer by clicking below! 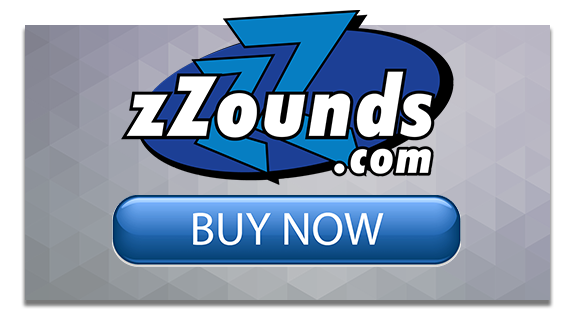 Comments Off on ULT Loudspeakers Available in Select Stores in the USA Now! 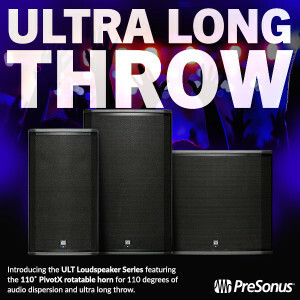 PreSonus ULT-series active loudspeakers combine the widest horizontal dispersion of any loudspeaker in their class with a focused vertical dispersion for an ultra-long throw. The result is even coverage throughout the space, enabling the audience to hear clearly wherever they are. Featuring PreSonus’ proprietary Pivot X110 horn and plenty of Class D power in a lightweight design, ULT full-range loudspeakers deliver first-rate speech intelligibility and natural music reproduction. A companion ULT18 active subwoofer delivers a powerful, clear, and accurate low-end punch in a compact design, making ULT-series systems ideal for both mobile use and permanent installations. Click here for more info on the ULT speakers. Rehearsals started on Monday, September 15. Everyone came in with instruments: Joe had already set up his drums, and the film had rented a B3 and Leslie for Bernie. 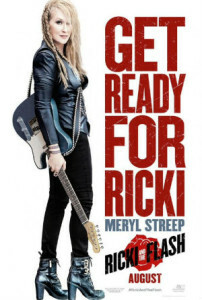 Rick the Bass Player had one of his Laklands, Rick Springfield had his Gibson SG, and Meryl had a Fender Telecaster. We had backup instruments, as well, and Danelectro sent us a couple of guitars (more on those later). Neil, Mark, and I made several trips to the 14th St. Guitar Center to get pedals for Rick Springfield’s setup, and Line 6 sent us a guitar wireless system for Meryl. 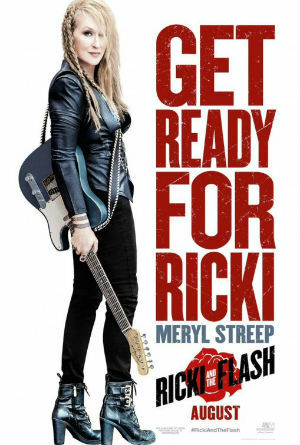 The premise is that Ricki (Meryl) is trying for stardom and is currently slugging it out in clubs in the San Fernando Valley, playing every Tuesday night at the Salt Well. Gary Goetzman is the producer of the film, and he led the rehearsals, with assistance from Neil and Mark. 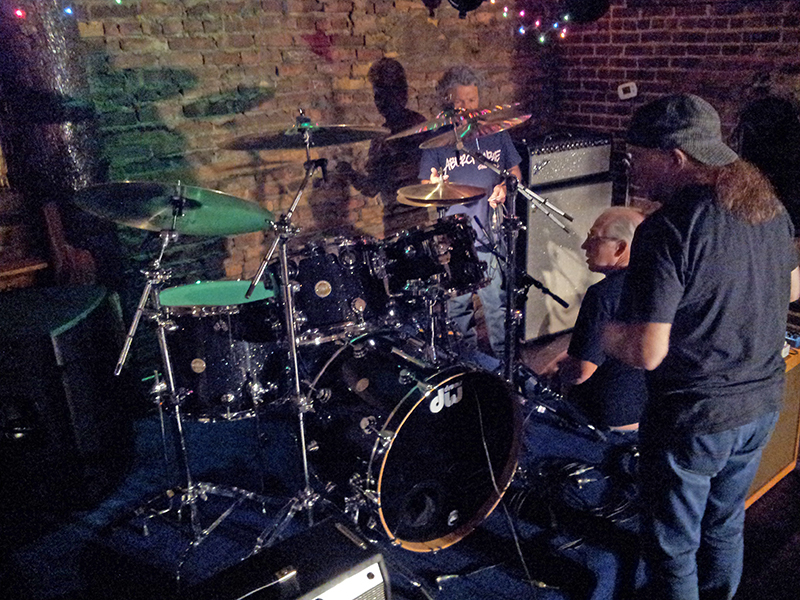 We started with a basic line check; the kick drum was miked with an ATM 250. All the other drums were triggered. Joe has triggers built into his custom Drum Workshop kit, and we just plugged out of the trigger module into my Radial DI boxes. We needed to make sure we had signal; one great thing about recording with PreSonus® Capture™ is that the send is pre-fader, so the fader position on the StudioLive AI console is irrelevant; the recording software uses the input gain level you set on the head amp actuators (trim knobs). It’s a really nifty design because it allows the house mixer to change the fader levels for the live house mix without affecting the recording. Along the same lines, once we had the guitar amp levels where we wanted them with the Radial JDX boxes, we also took a “clean” feed, plugging the guitars directly into my Radial ProDI boxes before the amplifier, in case Neil and Mark wanted to “re-amp” the guitars during mixdown. A quick aside: I’ll bring it up again later but I want to stress that Gary and director Jonathan Demme wanted authenticity, and they got it. Every note you hear is what was played by the musicians; there are no overdubs of instruments in this movie. 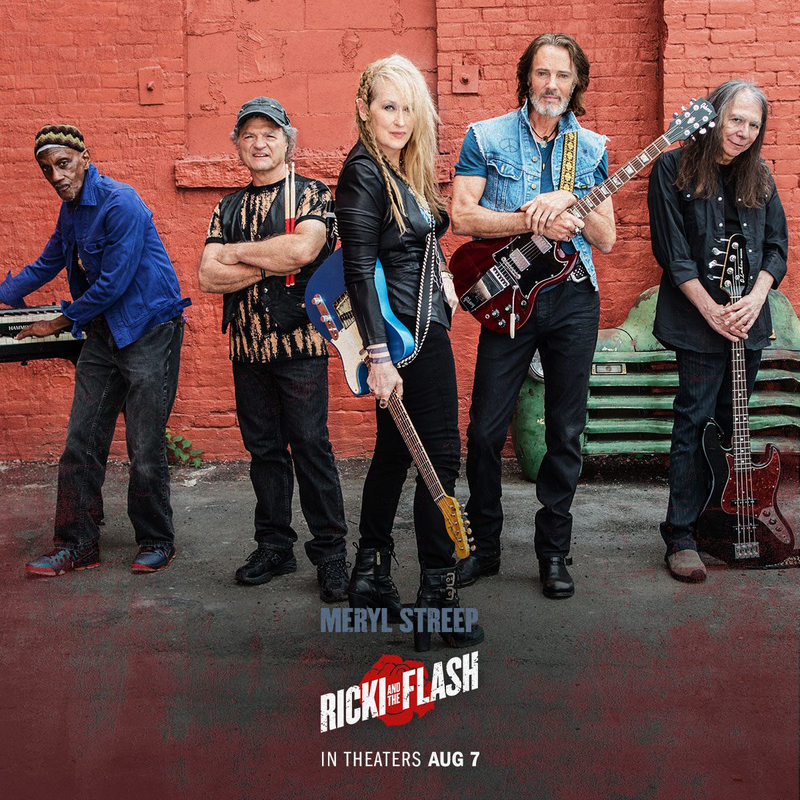 There were a few extra band takes for vocals because of bleed but all of what you experience in the movie is Ricki and the Flash performing as you watch. It was a treat to watch these professionals at work. Gary took five people who had never played together in this configuration and turned them into a band. Each song got a workout. Gary kept the band focused; they worked on one song at a time until they felt they had it down. From where I sat, it really paid off; by the end of rehearsals, I felt like I was mixing a band, not a loose knit group of musicians jamming, but a real, tight band. When we started rehearsals for Ricki and the Flash, we discovered that some things had to be changed. Part of what we faced was the reality of working with musicians who were used to the big stage in a club environment. Drums and backing vocals: Joe Vitale. Joe has drummed for, among others, Joe Walsh (he co-wrote “Rocky Mountain Way” with Joe); Stills-Young Band; The Eagles; Crosby, Stills and Nash; and the re-formed Buffalo Springfield. Joe has written a book about his life as a musician called Backstage Pass. Bass: Rick Rosas, aka Rick The Bass Player. Rick played most recently with Neil Young in Crazy Horse. He was also part of the Buffalo Springfield reunion. Rick passed away a few weeks after finishing the band scenes, and we miss him very much. Keys: Bernie Worrell. Bernie was a member of Parliament/Funkadelic and joined Talking Heads for a number of albums. He’s in Jonathan Demme’s concert classic film Stop Making Sense and has played on countless sessions with artists as diverse as Keith Richards, Jack Bruce, Dee Lite, and Bootsy’s Rubber Band. Rhythm guitar and lead vocals: Meryl Streep. One of the most well regarded actresses in the world, Meryl learned to play guitar for this movie. 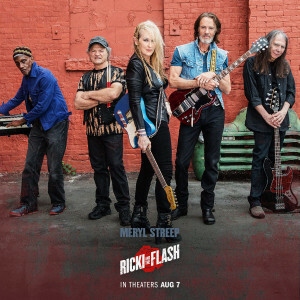 Meryl had never played in a band before but she has sung in many films, including Mama Mia and the recent Into the Woods, so she adapted quickly to the role of Ricki. I have been “pushing faders” as a front-of-house (and sometimes monitor) engineer since 1979. I’ve mixed in wretched bars with “thrift-store” PA systems, and I’ve mixed bands at the New Orleans Jazz and Heritage Festival. My background is live sound; working on a movie required some adjustment in my approach to mixing. Music coordinator Mark Wolfson and Neil Citron, the music wrangler, have worked together for many years. Among other projects, they worked on the film That Thing You Do (also with Ricki director Jonathan Demme and producer Gary Goetzman). On this film, I worked with Mark and Neil to create an authentic club band feel. One thing that we encountered from the get-go was a reluctance to show microphones on camera. This created some interesting challenges, as we had to find a way to capture the sound without showing any microphones beyond the vocal mics. Some solutions were simple: We could take a DI off of the bass, and we used triggers on the drums and then used drum samples that we sampled from Joe’s Drum Workshop kit. We hid the hi-hat and overhead mics as best we could. Thanks to Audio-Technica, we had excellent condensers: an ATM 450 on the hi-hat and an ATM 4050 on the overheads. We were able to hide the ATM 650 dynamic on the Leslie high side and the ATM 250 dynamic on the Leslie low side. The guitar amps presented a problem, though. We needed to capture an authentic sound without showing mics. Trying to mic the back of the amps proved unwieldy at best. It also didn’t sound so great. Neil and I put our heads together and decided to call our friend Peter Janis at Radial Engineering. Peter sent us two JDX active speaker-simulator direct boxes. We were able to plug out of Meryl’s Fender 65 Deluxe reissue and Rick’s Fender Bassman 410. The Bassman reissue proved tricky because the speaker output has an RCA connector; we had to make two ¼”-to-RCA custom connectors. At the time, the JDX required an external supply, as well; now it’s available with the option to run on 48V phantom power. We also used two of the new Audio-Technica AT 4080 active ribbon mics for room/ambience miking. These mics sound glorious, and they really helped Neil and Mark re-create the room sound when they did the mixing later. With the system tuned, we were ready to watch five musician/actors become a band. Dave Hinson Sound has been one of the sound vendors at Musikfest in Bethlehem for 15 years. Musikfest is the nation’s largest free music festival, boasting performances on 16 stages over 10 days. Our line array rig is deployed at the Volksplatz tent. This year we became the sound vendor at the Main Street stage. When the contract was awarded, I called Rick Scott at Parsons Audio to order a pair of StudioLive 328AIs with the companion sub—The StudioLive 18sAI. 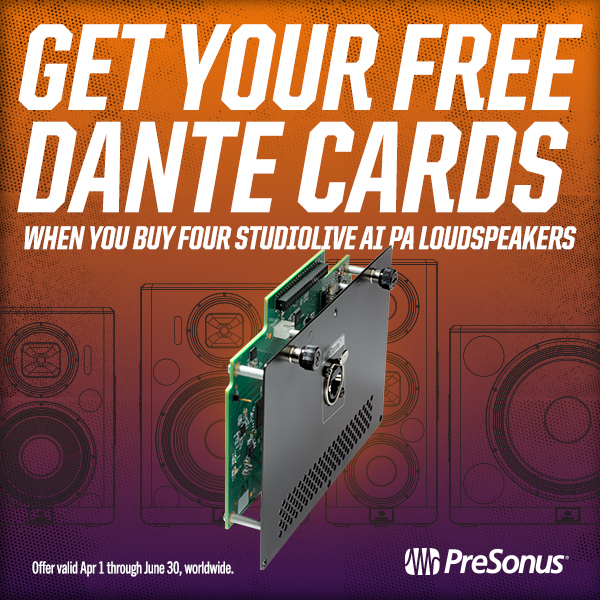 PreSonus was my first and only choice since hearing these speakers at a Dante class in Philadelphia back in April. 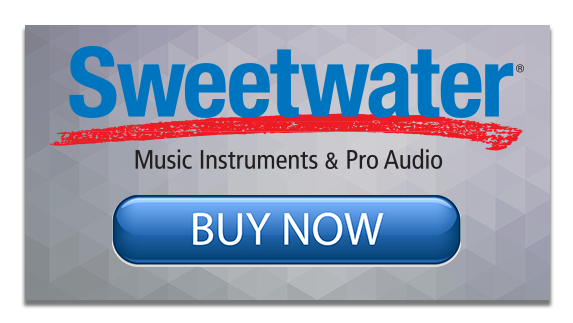 I was first impressed with their sound, and they became a must have when I learned they were Dante-ready, and fully compatible with my Yamaha CL consoles. What I was most impressed with, however, was that we unboxed the speakers, plugged them in, and they worked beautifully. No hassles, no tuning and no tweaking. We found that the speakers delivered incredible musical clarity. I believe they are two or three notches above their competition. Before next year’s festival season, I hope to make an all-PreSonus system: more mains, subs and monitors all running on Dante. I am even thinking about how I can use lighting truss to support two mains per side and placing the sub below the stack. This year, I used my QSCs as monitors, I hope to replace them with StudioLive 312AIs, or I could always use the 328’s in that mode also. You have a great product that has risen above the competition. I am sure 2016 will be a great year for you. Keep up the good work! The group depicted below The Boiled Owls, performing a mix of Americana, bluegrass & folk music. All of the inputs were routed into a StudioLive™ 32.4.2AI console. Besides doing the live mix, the other half of my job was to ensure that every note was “Captured” during both rehearsals and filming. Neil Citron, Mark Wolfson, and I wired the stage and then set up two recording systems. The first was set up on my MacBook Pro, running Mac OS X 10.8.5 and connected to the console using FireWire. I was running Universal Control-AI (with Virtual StudioLive-AI control software) and recording with Capture 2.0. We connected the DB25 outputs of the 32.4.2AI to a Tascam X48 recorder because we needed to track SMPTE time code. This way, we also had two copies of each recording; as anyone who has ever lost a file knows, you need to back up, back up, back up. The great thing about recording with Capture™ is it is literally effortless. Once my FireWire connection was secure and I knew the computer and console were talking to each other, all I had to do was open Capture and make one mouse click, and we were rolling! Of course, it helps to have the drive path set and the files named. I find that, given the option, it helps to set this up in advance, although the only really crucial setting is the file path. We noticed that, according to the X48’s meters, the DB25 analog output was 6 dB lower than the digital signal coming into Capture. I’m not sure why the levels were different but comparing the WAV files in Studio One confirmed the difference. Jeff Pullman, C.A.S, was the Production Sound mixer for the film and was a pleasure to work with. He also was very helpful in getting some sound isolation products so we could have a cleaner recording. We did some test tracks with Neil playing so we could make sure the rig was running; then we started rehearsals.